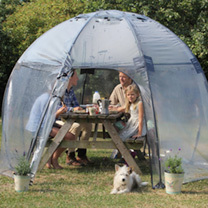 Create your own exciting planatarium in a bubble! 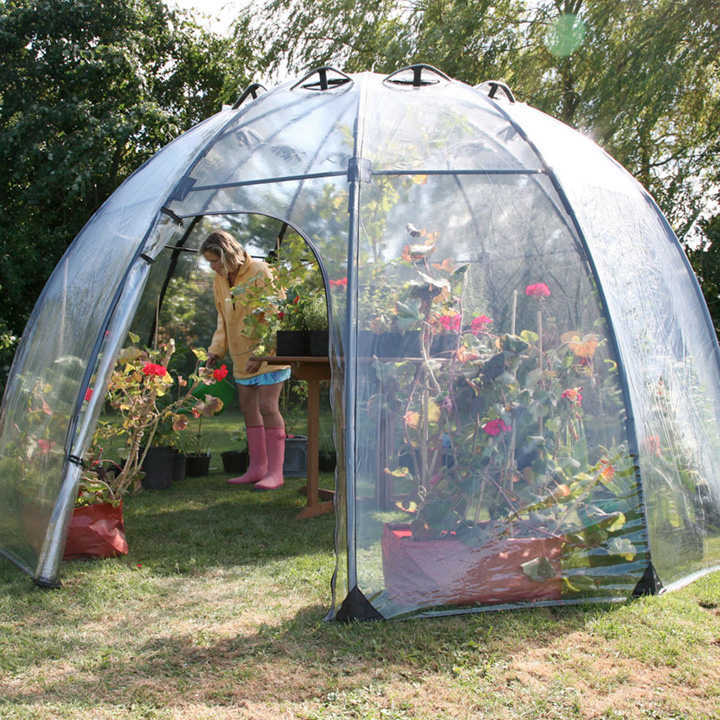 This stylish dome-shaped plant house can be used as a seasonal greenhouse or conservatory. The curved shape means that the surface stays at 90° to the direction of the sun all day long, achieving minimum reflection and maximum penetration of light, creating an optimum growing environment that will extend your growing season. You can ventilate your Sunbubble using the adjustable air vents (8 for the standard) and the strong zipped doorway. Easy to use, transport and store and quick to put up, take down or move. Sunbubble has a unique one-piece folding design which folds down to a storage bag. Made from UV stabilised clear PVC and robust flexible fibreglass rods, it comes with ground pegs for fixing. Available in two sizes: Standard - 2.8m (9'2") diameter x 2m (6'6") height; folds down to storage bag 25cm (10") x 2.8m (9'2"). 8 adjustable vents & Large - 3.5m (11'6") diameter x 2.2m (7'3") height; folds down to storage bag 30cm (12") x 1.5m (5'). 12 adjustable vents.